I took a wine class this week for work and I had no idea there was so much to know about wine. I knew there were different types but I didn’t realize there were quite so many. Like Gamay. I’ve never heard of that kind of red wine before in my life. Oh, and that the reason some wine bottles don’t tell you what kind of wine it is, is because it generally comes from Europe where you’re supposed to know what grape each vineyard is known for. My bad. I also learned how to look, smell, and taste wine and look like a fool while doing so. Like “What do you taste?” “Uh, wine.” when clearly the answer is supposed to be green apple, meyer lemon, potted soil, leather, limestone, stewed cherries, or something else like that. After the two 9 hour lectures and tastings (wish we could have drank more..), I feel like I at least learned something. So let’s drink together and I’ll show you how to look silly too. You know what pairs well with wine? Chocolate. Lots and lots of chocolate. 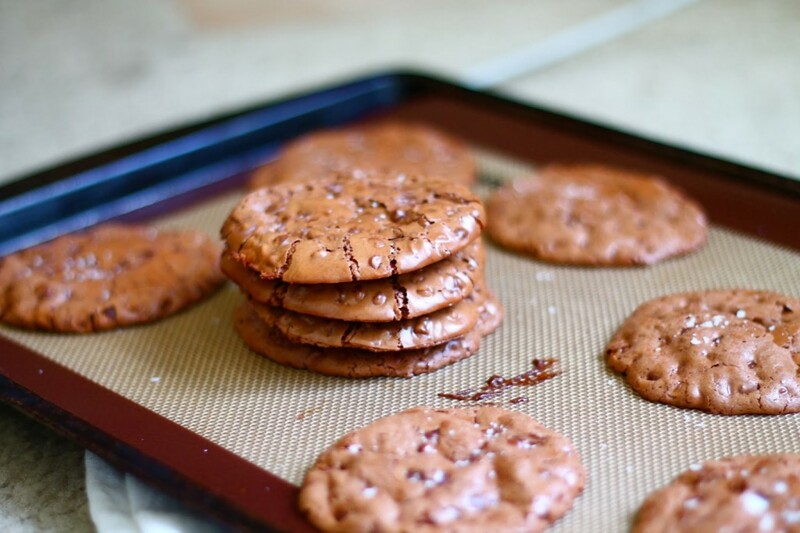 Like these flourless chocolate cookies. I’ve never made flourless cookies before but I’m a convert. These are thin, crispy, chewy.. Almost like brownie edges in a thin cookie form. 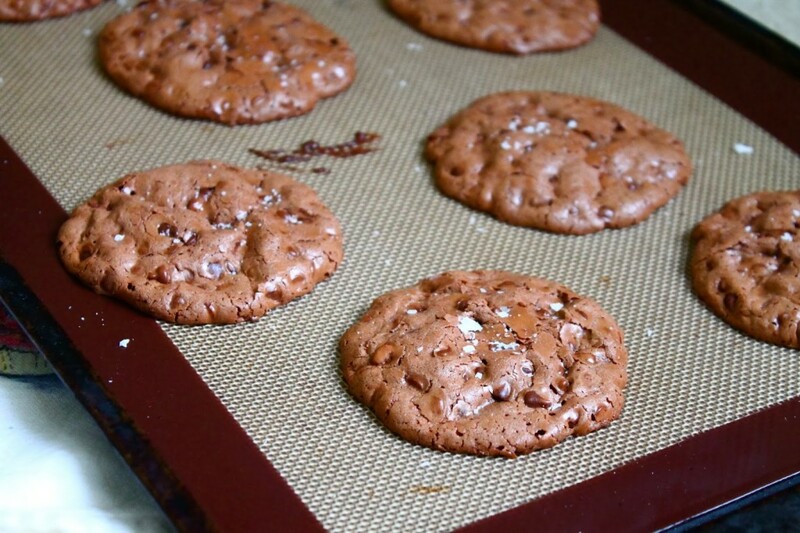 The sea salt on top adds just enough to bring out the chocolate flavor even more. Can I tell you a secret? I only ate 2 of these. Do you know how impressive that is? I’m usually eating at least half a dozen before I realize what I’m doing. These are so deliciously chocolate and just rich enough that I only needed 1 or 2. I brought these into work and they were a hit. Though sometimes I feel like I could bring in peanut butter and jelly sandwiches and they would be a hit.. But these cookies. A definite keeper. Plus, there’s no chilling the dough. Just whisking together some ingredients, pouring into cookie shaped mounds on a cookie sheet, and baking. Now, let’s open some wine and eat these cookies. 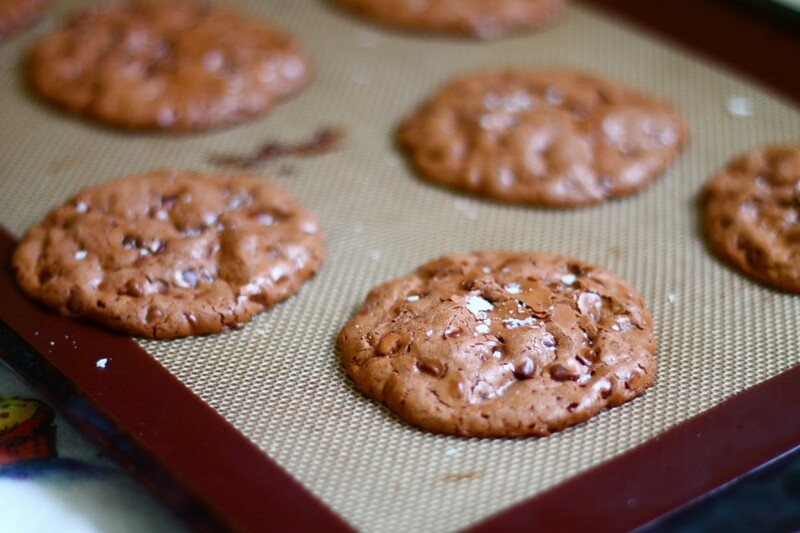 Preheat oven to 350 degrees F. Line cookie sheets with silicone baking mats or parchment paper. Set aside. In a large mixing bowl, whisk together powdered sugar, cocoa powder, and salt. Fold in egg whites until well combined (it will take some time, but in the end the dough should look like brownie batter). Add in vanilla, mixing to combine. Fold in chocolate chips. Spoon about a tablespoon of batter (or less for smaller cookie) onto the cookie sheet, making sure to leave at least two inches between cookies – they spread a lot. Bake for 11-15 minutes, or until the edges of the cookies have set and the tops are shiny and cracked. If desired, sprinkle some sea salt on once they come out of the oven. 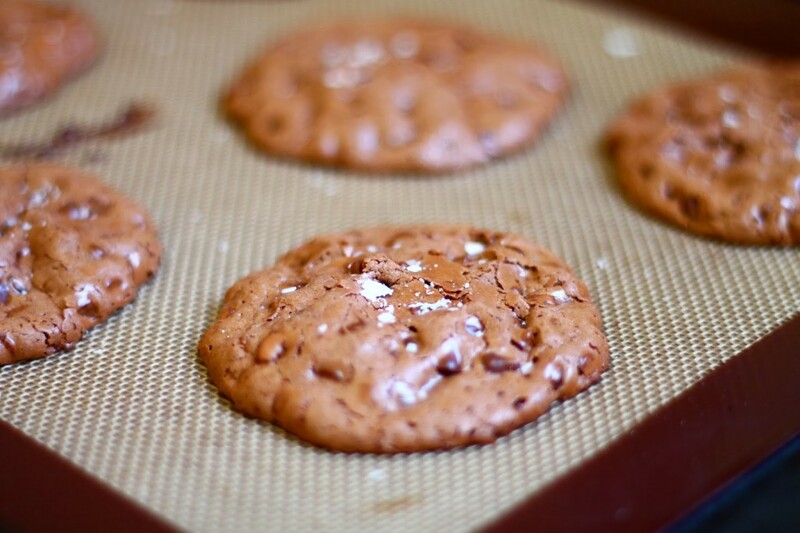 Let cookies cool on sheets completely before using a spatula to remove them.